On April 9, the Senate confirmed 75-21 for a second term Wanda Felton to be the first vice president of the Export-Import Bank of the U.S. (Ex-Im Bank) expiring in 2017. The Senate Banking, Housing and Urban Affairs Committee approved her nomination by voice vote on Feb. 6. Felton, who began her career as a loan officer at Ex-Im Bank, was appointed first vice president in 2011. Prior to that, she worked in corporate finance, serving clients in the financial services industry. In March, NSBA and SBEA signed onto a coalition letter to Senate Committee on Banking, Housing and Urban Affairs Chairman Tim Johnson (D-S.D.) and ranking Member Mike Crapo (R-Idaho), as well as House Committee on Financial Services Chairman Jeb Hensarling (R-Texas) and ranking Member Maxine Waters (D-Calif.) urging them to swiftly expedite legislation to reauthorize Ex-Im Bank before its authorization expires on Sept. 30, 2014. The signatories call for a long-term reauthorization that effectively fulfills Ex-Im Bank’s principal mission to support U.S. jobs through exports. During FY2013, Ex-Im Bank set a record on its support of small business, approving more than 3,400 small-business transactions which accounted for nearly 90 percent of its transactions last year. 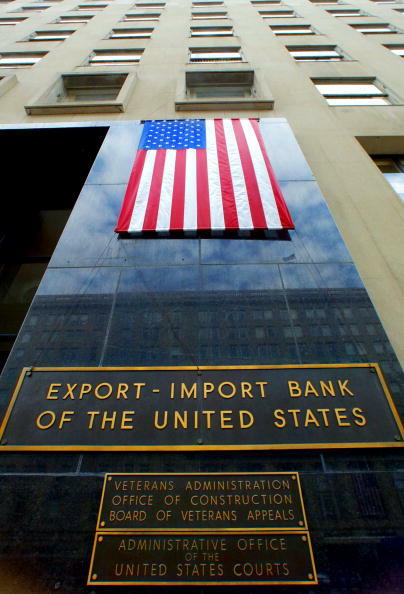 The letters state that without Ex-Im Bank acting as a “lender of last resort” to fill market gaps, many foreign customers may turn to non-U.S. suppliers that already have significant support from their own official export credit agencies (ECAs). There are at least 59 other ECAs around the world, and many more that are aggressive in promoting their domestic companies and industries. The letters go on to say that delaying Ex-Im Bank reauthorization would hurt U.S. manufacturers—small and large—threatening the export sales of thousands of U.S. companies and the security of hundreds of thousands of American jobs that depend directly or indirectly on Ex-Im Bank’s export financing. As part of the plan to support manufacturing in America, promote export of U.S. goods, keep jobs in the U.S. and develop a 21st Century workforce, Democratic Whip Steny Hoyer (Md.) recently announced that the reauthorization of Ex-Im Bank will become a formal agenda item of the “Make It In America” plan for jobs and competitiveness. According to Hoyer, the Bank helps create jobs, expand manufacturing, and makes the economy more competitive by helping manufacturers access markets and sell their products not just at home but around the world. That is the reason why reauthorizing Ex-Im Bank has been added as a key priority of the Make It In America plan. Taking action well before Ex-Im Bank’s authorization expires on Sept. 30, 2014 will give certainty to businesses and provide important resources to keep American exporters competitive. Without reauthorization, American exports will decrease and job growth will certainly become stagnant. Since the plan was created in 2011, 10 Make It In America bills have been signed into law. According to data released by the Bureau of Economic Analysis (BEA) of the U.S. Commerce Department, the U.S. exported $190.4 billion of goods and services in Feb. 2014. Exports of goods and services over the last twelve months totaled $2.3 trillion, which is 44.5 percent above the level of exports in 2009, and have been growing at an annualized rate of 9.2 percent when compared to 2009. During the same time period among the major export markets (i.e., markets with at least $6 billion in annual imports of U.S. goods), the countries with the largest annualized increase in U.S. goods purchases, when compared to 2009, were Panama (23.6 percent), Russia (19.6 percent), Peru (19.4 percent), Hong Kong (18.9 percent), Colombia (17.9 percent), United Arab Emirates (17.1 percent), Argentina (16.4 percent), Chile (16.3 percent), Ecuador (15.2 percent), and Indonesia (15.0 percent).